← Elizabeth of the Trinity, Our Newest Saint! 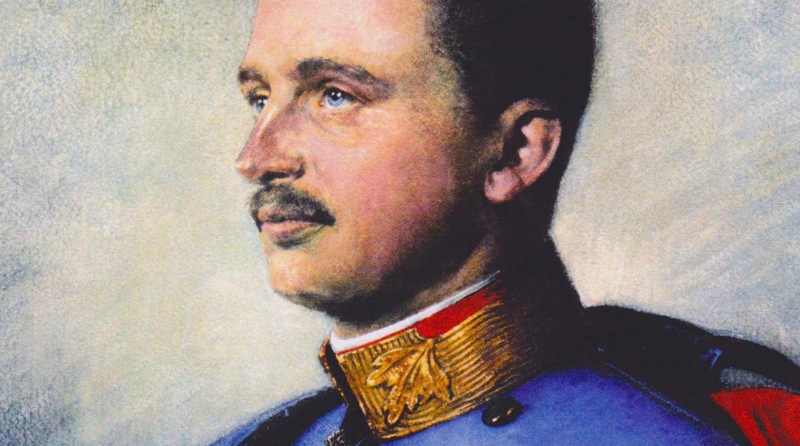 Karl of Austria was born August 17, 1887, in the Castle of Persenbeug in the region of Lower Austria. His parents were the Archduke Otto and Princess Maria Josephine of Saxony, daughter of the last King of Saxony. Emperor Francis Joseph I was Karl’s Great Uncle. Karl was given an expressly Catholic education and the prayers of a group of persons accompanied him from childhood, since a stigmatic nun prophesied that he would undergo great suffering and attacks would be made against him. That is how the “League of prayer of the Emperor Karl for the peace of the peoples” originated after his death. In 1963 it became a prayer community ecclesiastically recognized. A deep devotion to the Holy Eucharist and to the Sacred Heart of Jesus began to grow in Karl. He turned to prayer before making any important decisions. Karl became heir to the throne of the Austro‑Hungarian Empire on June 28, 1914, following the assassination of the Archduke Francis Ferdinand. World War I was underway and with the death of the Emperor Francis Joseph, on November 21, 1916 Karl became Emperor of Austria. On December 30th he was crowned apostolic King of Hungary. Karl envisaged this office also as a way to follow Christ: in the love and care of the peoples entrusted to him, and in dedicating his life to them. He placed the most sacred duty of a king – a commitment to peace – at the center of his preoccupations during the course of the terrible war. He was the only one among political leaders to support Benedict XV’s peace efforts. The Pope feared the rise of communist power in central Europe, and expressed the wish that Karl re‑establish the authority of his government in Hungary. But two attempts failed, since above all Karl wished to avoid the outbreak of a civil war. Karl was exiled to the island of Madeira. Since he considered his duty as a mandate from God, he could not abdicate his office. Karl endured his suffering without complaining. He forgave all those who conspired against him and died April 1st 1922 with his eyes turned toward the Holy Sacrament. On his deathbed he repeated the motto of his life: “I strive always in all things to understand as clearly as possible and follow the will of God, and this in the most perfect way”. Karl of Austria was beatified by Pope St. John Paul on October 3, 2004 in St. Peter’s Square. The Church celebrates his feast day on October 21, the anniversary of his wedding to Empress Zita. His cause for canonization continues. (Biography courtesy of the Vatican website). Posted on October 20, 2016, in liturgy and tagged Austria-Hungary, Benedict XV, Blessed Karl of Austria, Charles of Austria, Empress Zita, Karl von Habsburg, World War One. Bookmark the permalink. 2 Comments.